Summit County is Colorado’s Outdoor Playground! Our Summit County Sitters can keep the kids happy and entertained while the adults have their own fun. 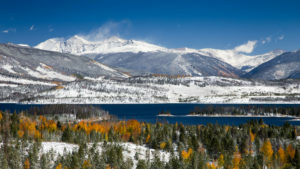 We service Silverthorne, Frisco, and all surrounding resorts! In Breckenridge, the fun starts with the free gondola ride to the Peak 8 Fun Park. Seasonal options at the Fun Park include an Alpine Slide, Gold Runner Coaster, bounce-house, mini-golf and more. In town, your sitter can take your children to visit the indoor water park at the Breckenridge Recreation Center, or go ice skating at the town rink! Copper Mountain offers awesome experience to get your children outside with the sitter: a climbing wall, mini-golf, go-karts and bumper boats in the summer. Winter options include a tubing hill, ice skating on West Lake, and the Alpine Rush Zip Line, to name a few. Staying in Keystone? Have our sitters bring your children to the lake in the summer, ride paddleboats, feed the ducks, geese and fish, or enjoy the playground nearby. In winter the lake transforms into one big outdoor ice rink – and don’t miss out on the Kidtopia Snow Fort! Is it a good day for indoor activities? No worries! Our Summit County Sitters have lots of ideas and options. Breckenridge has a great “hands-on” children’s museum. Peak-A-Boo Toys on Main Street in Breck has a cute indoor play area. Frisco Historic Park has a collection of houses and buildings from Summit County’s mining days. Any season, any weather, our Summit County Sitters know where the fun is! RESERVE YOUR SUMMIT COUNTY BABYSITTER NOW!